What’s the first thing you install after jailbreaking your iOS device? For us, it’s Activator by Ryan Petrich. One of the most important and useful tweaks you can have on a jailbroken iOS device. And now, it officially supports the new iOS 8.3 jailbreak. 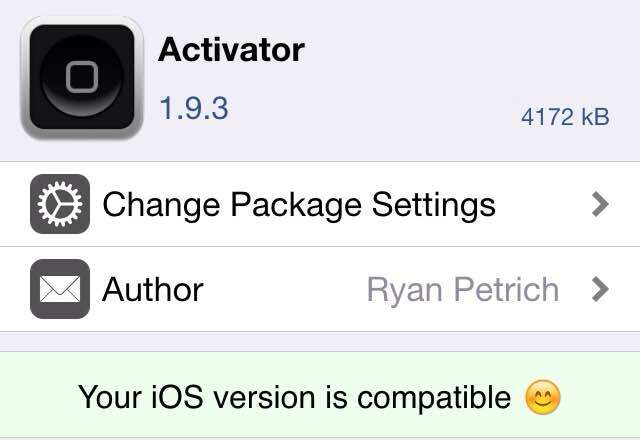 Ryan Petrich, the tweaks developer released Activator 1.9.3 recently, which adds basic support for iOS 8.3. The update also includes several other improvements and fixes. If you’re a jailbreaker, you’re going to need to install the Activator tweak to take advantage of hundreds of other tweaks. To install the latest version of Activator, if you haven’t already, refresh Cydia and search for Activator. Install it and you’re all set!